"Renee is a passionate and gifted speaker who has the unique ability to connect with women in a way that is rare. I'm always inspired when I share the platform with Renee because after hearing her speak I know I will walk away with a new revelation from God. Besides being a very gifted teacher, Renee is one of my dearest friends. When I need spiritual advice, she's the one I go to. She's the real deal on and off the stage." "I was blown away by how we could feel God's presence touch so many lives through Renee's message "A Confident Heart." Women were changed as they exchanged their doubts and found power in His truth to rise again and defeat their enemies of insecurity and fear so they could live in the confidence of God's calling on their lives!" God with the "what if"
in Christ, living and loving others the way He loves you. This year was like no other after inviting Renee Swope to speak at our two-weekend event for over 500 women from all over the Northeast region. In all the years we have been running this retreat, we've never had such an overwhelmingly favorable response on our evaluations. Women wrote: “I love her relationship with God." “She is so real and such a good teacher!” “Excellent speaker—lessons flowed so well.” “Tremendous messages: she’s lives it and can talk it well”. Her gift of speaking is also complimented well by her ability to connect with women. We all left knowing that beyond her considerable talents, she is a woman, just like us, who is seeking hard after God’s heart. I whole-heartedly recommend Renee! Renee Swope shares a meaningful message with women as she invites them up close, illustrating truth through her authentic style. With warm storytelling, Renee pulls back the layers of scripture and uses personal examples to challenge and inspire others. Her transparency is full of purpose as she draws out practical applications of principles for todayʼs woman.Our women are still sharing stories of how their lives were changed from our "Circle of Friends" retreat with Renee. Also, partnering with Renee in planning was a joy that instilled confidence and bestowed encouragement on me. 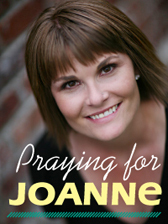 Our women and I were greatly influenced by her heart of prayer, passion, and purpose. from your circumstances and accomplishments. it in who and what you value most. the urgent from overriding the important. Renee has such a gentle spirit, yet she's very powerful in the Spirit! Her heart is burdened for women, and wants to see lives changed. She connected and ministered to women of many cultures, ages, and backgrounds, making them feel welcomed and loved. Her message was powerful She has a God given gift of teaching, providing life application of the Word of God. Women left saying "my life was changed" and "God really used her to minister to me". and purpose in your paths each day. "I've had the privilege of working with Renee several times over the past few years and am always blessed by her genuine love for women of all ages and stages. Her gentle spirit and tender heart for God are evident as she shares from the platform or over coffee. Renee engages her audiences and makes her message come alive. The impact of her messages is still talked about several years later. It has been a blessing, as District Coordinator, to work with such a professional, "real" and Godly woman that shares from her heart the reality of her personal life challenges, as well as the joy she's experienced as she has watched God at work in her own life and in the lives of those around her." Trust and seek God's plans above their own. Filled with inspiration, personal stories, Biblical insights and laughter, let this message prepare you to be blessed as you move beyond believing in God to believing God for all that He has for your life, at Christmas and all throughout the year! When the holidays sweep across the pages of your calendar, are you swept into a flurry of obligations? Do you ever lose the joy of celebration in the midst of preparations? Make this year different! Take time to experience the hush of Christ in the rush toward Christmas, as you prepare a place for Him in your heart and home this holiday season. With heart-warming stories and life-changing truths, Renee shares inspiring stories and practical ideas to help women unwrap the gift of God's presence each day in December and throughout the year! Are your days filled with purpose or are you easily detoured by the urgent and unexpected? Do you wonder if all you do really matters? Join Renee for a look at why moms struggle to find meaning in the monotony of motherhood and how we can make the most of each day while fulfilling the most important job on earth – being a mom! Filled with personal stories, practical ideas and inspirational truths, this message will help you discover your PURPOSE as a mom and develop a plan to live it out each day! Renee's messages are designed for a variety of women’s events and connect with women of all ages and at all stages in their spiritual journey - whether seeking, new believers or grounded in God's Word. Each message can be presented individually or packaged for conferences and retreats. For more information, or to schedule Renee for an event, please complete a request form by clicking here. I really enjoyed reading "Whats wrong with me". It really enlighten me about something that i always do. I thank god for your encouraging word to really ponder and to know who is speaking in my ear. Thank you and be bless as you already are.